isn't woodwork a beautiful thing? it makes everything feel so homey, even a bike hook (of sorts) contraption. 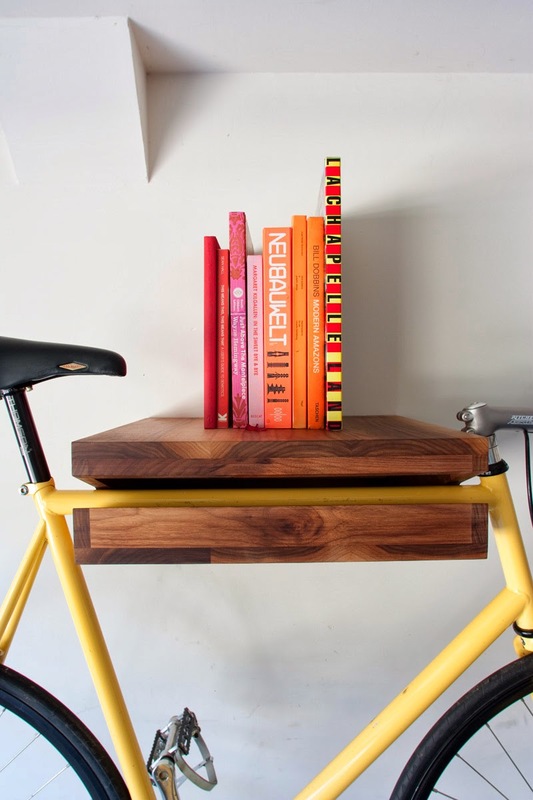 designer, chris brigham, has humbly named it the 'bike shelf'. designed for bike riders with little household space. the new yorkers of the world. 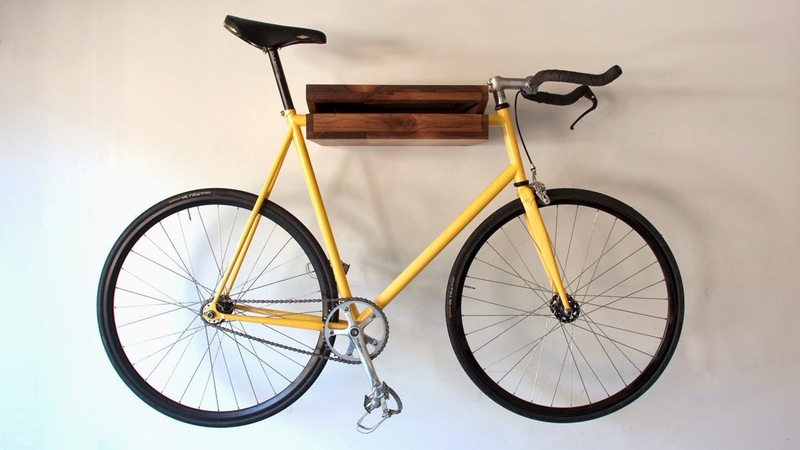 or simply for those with an eye for woodwork design and a love of bicycles. serves two functions - 1) bike hook; 2) a shelf. ingenious.